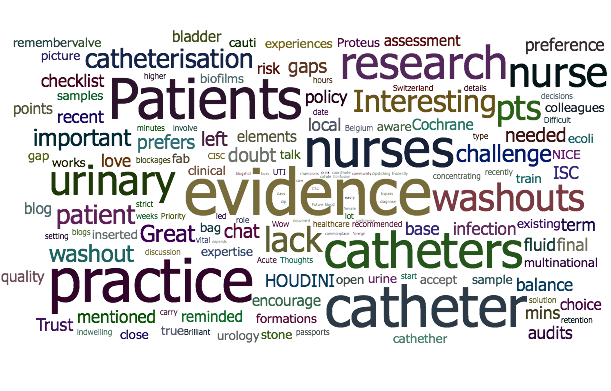 We joined with #wenurses to host a tweetchat on evidence and practice relating to urinary catheters. Here’s a summary of the conversation. 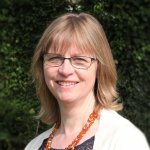 In spreading the word about our ‘Evidence for Everyday Nursing’ series (one of four ‘Evidence for Everyday’ series along, the others being for midwives, allied health professionals, and anyone making health choices), I have been asking nurses what they find most helpful about it and how we could make it more useful. A strong message is that nurses value having easy-to-access evidence on common areas of practice, which is something we had in mind when we started these series. Through blogs and tweetchats, we’re able to bring practitioner and patient views alongside the evidence, a great way to promote and enable evidence-based practice. So now it’s the turn of urinary catheters! When Helen Cowan wrote this excellent blog on evidence and practice around long-term indwelling catheters, and I saw #WeNurses planning a catheter tweetchat, the idea for Catheter Week was born! My colleague Sheila at Cochrane Incontinence leapt into action and sent me their latest evidence on different aspects of catheterisation and put me in touch with two of their nurse-researchers. So, after two more blogs, on evidence and practice in short-term catheterisation and intermittent catheterisation, it was time to get chatting. The first thing that leaps out of this, for me, is that the words ‘evidence’, ‘practice’ and ‘patients’ feature as the most used, along with catheters of course. I’m really pleased to see patients right up there. It was brilliant that a urinary catheter user joined us alongside @HelenCCowan to share their views, and it looks like we all remembered to keep patients at the centre of our discussion. The chat benefited from a mixture of expertise which, as well as the catheter user, included people from several countries, nurses in various roles, a paramedic, and researchers, including the lead author of a Cochrane review on catheter washouts. 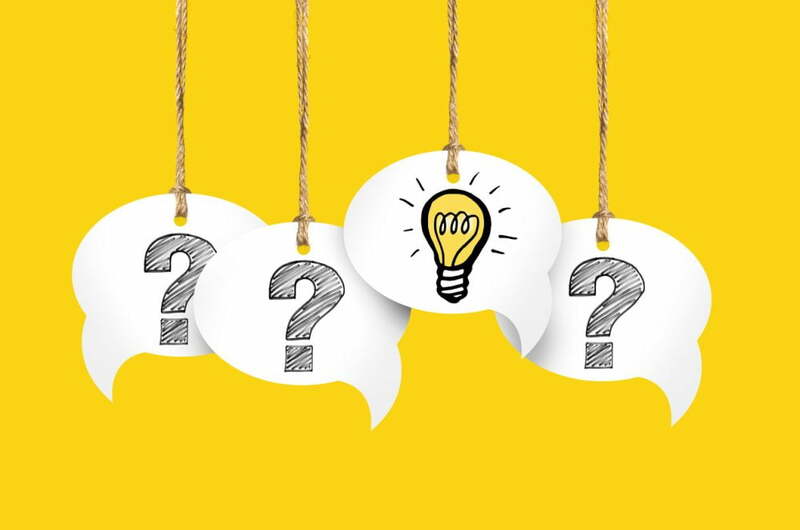 We started by asking “what is the evidence base around urinary catheter use?” You can read more about this in our blogs, but the bottom line is that there is a lack of reliable evidence underpinning just about every aspect of urinary catheter use. There were plenty of questions raised about clinical practice and the evidence gaps. How often to change catheters? How to reduce the risk of catheter-associated urinary tract infection (CAUTI), sample for infection, and evidence for antibiotic use for suspected CAUTI? How to choose between different types of catheters? Do washouts work? What about antimicrobial solution in the catheter balloon? How about lemon drinks to avoid encrustation? There was a fair bit of discussion around washouts, a topic that had come up in practice recently for one person, while specialist bowel and bladder nurse Melanie @NurseDeJaeger said “its really useful to know the evidence for washouts as we are always being asked by nurses if this is OK”. The catheter user does a washout weekly and finds his catheters last for a couple of months. What does the state of the evidence mean for practice? The catheter user, who manages his own catheter at home, said he’s left confused and has to make his own judgements based on experience. He also sees conflict among nurses. Others concurred with there being a lack of consensus in practice. Paramedic Ross @rbate1 noted that each provider or clinician works to their own interpretation of guidance, so care is not standardised. Having expertise in the team, from practitioners who have undertaken extra training, was suggested as being important, but reliance on colleagues was also raised as a negative factor. 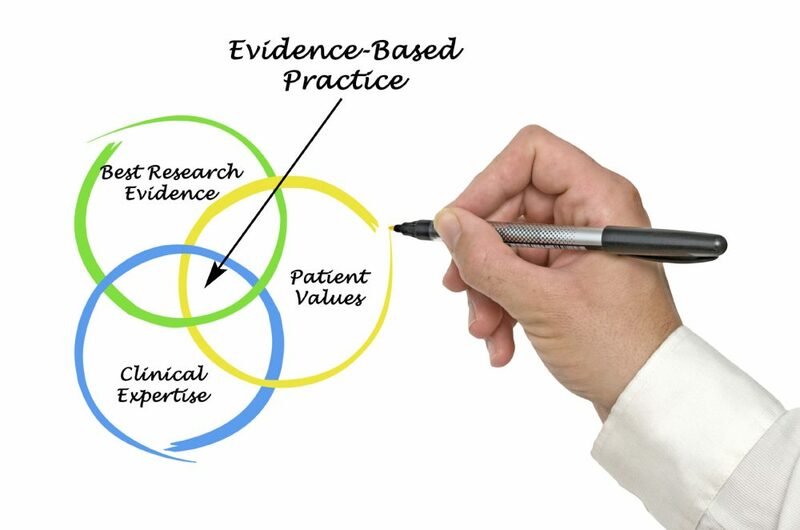 Ideally, practice would be based on reliable evidence, patient preferences and values and clinical expertise, but here, as so often, we’re looking at areas of practice not currently supported by reliable evidence. Yet choices have to be made, don’t they?! Clinical judgement and patient preference can and should influence choices. “Document, discuss, record…use clinical judgement and document again” was suggested as a good approach. Taking note of the expertise and experience of catheter users was flagged up as important – “perhaps we are then working on the evidence of what the service user says works for them?” The catheter user amongst us said he has certainly learned what works for him and what doesn’t. There was a reminder that patient choice should trump nurses’ preference, and an acknowledgement that this isn’t always the case. Jacqui Prieto touched on the overuse of catheters for hospitalised adults in our blog on short-term catheterisation; convenience may sometimes be a driver to catheterise. Stroke nurse Eileen @CollieEileen noted that “often catheters are part of routine care and nurses don’t always challenge routine and it does reduce work load!” It was also suggested that it may not be about what nurses prefer, but what they know. Hearing about a common preference amongst patients for catheters over pads, but seeing so many CAUTIs, the question was raised, are patients given sufficient information to inform their choices? Of course, lack of reliable evidence is a problem here, for practitioners and patients alike. It was suggested that a good place to start is Trust policy, as they have researched the available evidence. We would hope this is the case, but this can’t be taken for granted, as we discovered in a previous tweetchat, which I’ve blogged here, about when to replace peripheral venous catheters, where Trust policy in several places did not follow the guidelines (informed by high quality Cochrane evidence). We also know that guidelines sometimes contradict each other. 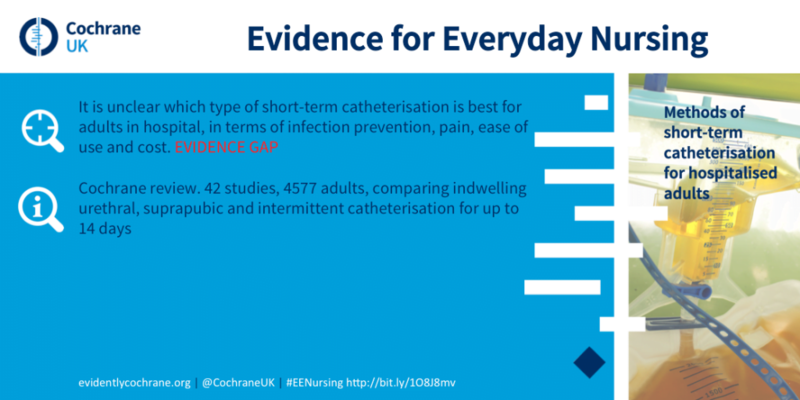 Teresa pointed out that it’s easy not to question everyday practice: “catheters seem so commonplace to nurses … do we stop enough to consider the evidence?” Yet stopping to consider is vital, whether this leads you to robust evidence or a lack of it, as I’ve discussed in this blog on why evidence matters. There was some discussion around why the evidence gaps exist, and what can be done to change this. 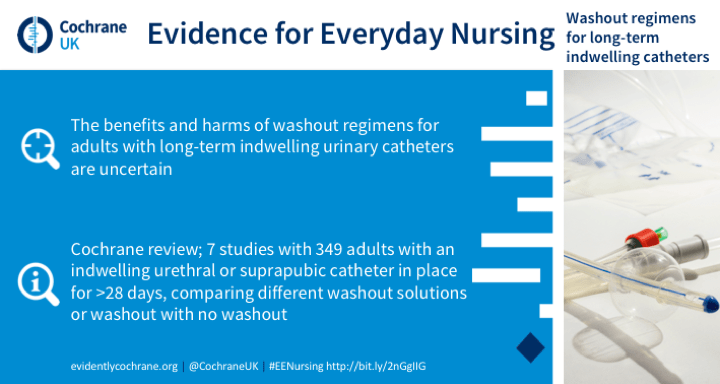 Ashley Shepherd @AShepherdQi, lead author of this Cochrane review on washout policies in long-term indwelling catheters, talked about some of the difficulties encountered when researching these areas. Interestingly, she said that, from her own research, “nurses want more evidence in this area but not always keen to participate or change practice if in trial – why?” Ashley also notes that the population is a difficult one to recruit to trials, particularly as there will be a lot of older people with multiple morbidities. Ashley proposed another tweetchat on nurses and research and how to bring the two together. Good idea! Clinical Nurse Specialist Ismalia @Isamilia_S stressed that “it starts with ensuring the job description includes research and that is embed in clinical practice”, and Melanie concurred: “Important to have local nurse leaders with a passion for research & change and an eye for nurses with the will & resilience”. The hour went all too fast (you can read more about it here), but there’s another #wenurses tweetchat, focusing on catheter care practice, coming up on Thursday 15th June at 8pm. Now you’ve read some of the evidence and have started to think about some questions for practice, here’s your chance to join in. 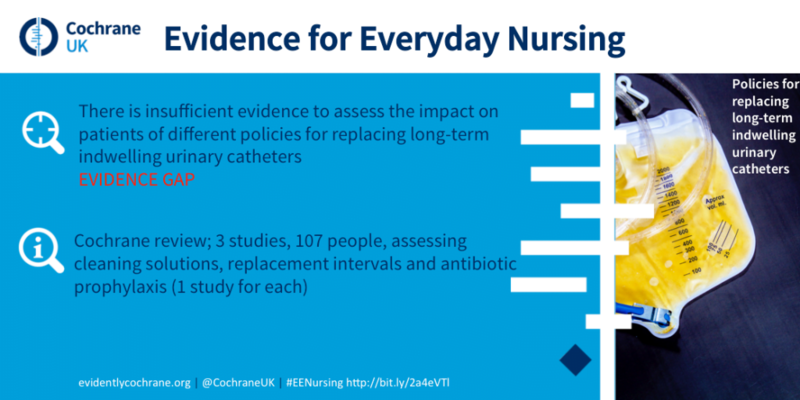 As well as joining the tweetchat, you could leave comments on this and/or the catheter blogs mentioned here, join the conversation on Twitter with me @SarahChapman30, @CochraneUK, and @WeNurses, and follow our Evidence for Everyday Nursing series #eenursing. We’d love to hear from you. Thanks Sarah for these great initiative ! Work together is always stimulating and produce opportunities to change your practice.